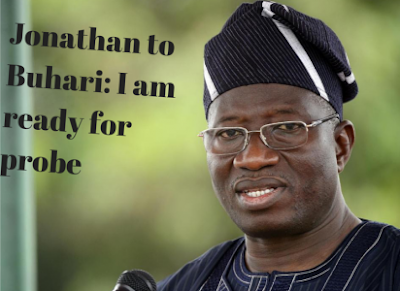 The Committee for the Defence of Democracy (CDD) has raised alarm over an alleged plan by the federal government to arrest former President Goodluck Jonathan over allegations surrounding the purported $2.1 million arms deal. The CDD in a statement by its Publicity Secretary, Comrade Akindele Lawson, described this latest move by the APC government of President Muhammadu Buhari as the height of the series of blame that the new administration has continued to put on the last administration of Dr. Goodluck Jonathan. It asked President Muhammadu Buhari to stop blaming his predecessor, Dr. Goodluck Jonathan, for Nigeria’s problems, while urging the government to instead focus on delivering dividends of democracy to Nigerians, as promised during the electioneering campaigns. The group stated that if the President continue piloting the affairs of this nation with so much focus on the past, then there will be a danger ahead as there may be no indication of any change, which Nigerians have earnestly anticipated from the APC government, in any near future. On the so called arms probe by the President Buhari’s government, the CDD stressed that it was wrong for anybody to claim that ammunition and military hardware were not bought for the Nigerian Armed Forces during President Jonathan administration, as it asserted that the current probe is nothing, other than the probe of the campaign funding of the Peoples Democratic Party, PDP, which is just being sensationalized by the APC government. “There is no doubt that the purchase of massive arms and ammunition in the last one year of the Jonathan government made it possible for the military to root out Boko Haram terrorists from all parts of Yobe and Adamawa States, leaving only about three local government areas in Borno State, partially under the control of the insurgents, as at May 2015,” the statement further said. The group, therefore, challenged the Buhari’s administration to deny the fact that the Nigerian military was still using the arms and ammunition procured by Jonathan to fight in those problem areas, insisting that Buhari’s government has not bought any new arms till date.